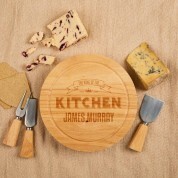 Any King of the kitchen will be proud to show off this engraved cheeseboard, complete with personalisation! We think this would make an especially great gift on his birthday or Father's day. 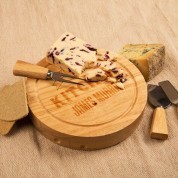 Our circular hevea wood cheeseboard is engraved especially for a kitchen King. 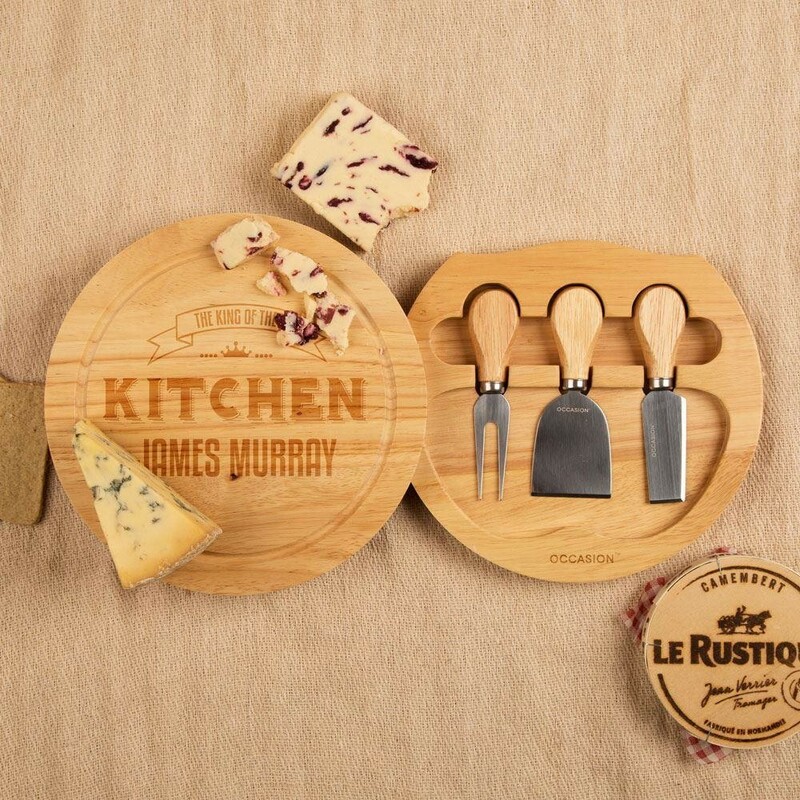 It features a simple typographic design that reads the King of the kitchen,” followed by the recipient's name. The design is made complete with a small crown. 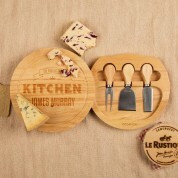 The board contains a secret, integrated drawer holding four cheese knives to match the board. It is a gift that will look great while on use or on display in the home.